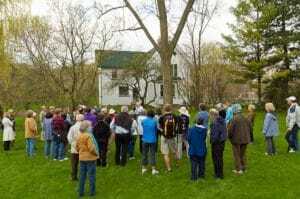 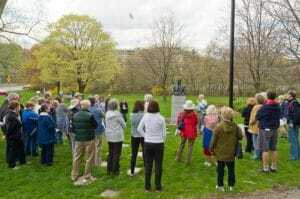 On May 7, 2011, The North York Historical Society teamed with the Don Watershed Regeneration Council to present an overview of the history of Hoggs Hollow as part of the Jane’s Walk program organized by SAHRA. 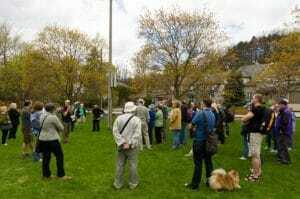 Glenn Bonnetta covered the historical setting from the arrival of settlers to the present, whereas Peter Heinz focused on the environmental scene from the last Ice Age with a glimpse into the future. 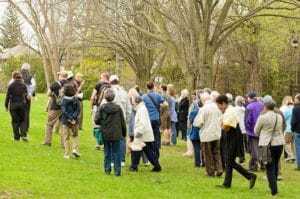 Several participants requested further information relating to life within the Don Watershed. 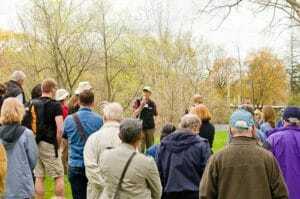 The TRCA’s Walk the Don site contains links to other organizations working to better conditions within the Don.